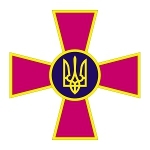 Armed Forces Day is celebrated in Ukraine every year on December 6. This professional day was established by the Ukrainian government in 1993 and since then it's observed annually on the national level. Armed Forces Day is an official holiday, but people are not given an additional day off. Special events take place in many cities across Ukraine, but mostly military personnel participates in them. The major event is the ceremony of wreath laying on a Tomb of the Unknown Soldier. This is the common name for the monuments, dedicated to the services of unknown soldiers, who died or were killed during the wars. The solemn meetings, award ceremonies and special concerts are organized for the military personnel. The firework shows illuminate the evening sky in Hero Cities, the cities where Ukrainian troops showed outstanding heroism during World War II. Traditionally President of Ukraine delivers a solemn speech to congratulate all Ukrainian soldiers and officers, who serve to keep safety of the nation.